Roadkill cuisine has been making headlines this spring, after the Montana House of Representatives passed a bill (by 99 votes to 1) that allows the state’s motorists to collect and eat the deer, elk, moose, or antelope that was unlucky enough to get in their way. Apparently, food banks in the state already collect freshly killed wild animals from the highways, clean and dress them, and distribute them to the poor, so Montana HB247 simply legalises common practice. Most states with roadkill bills do require drivers to notify the authorities; for example, in New York state, residents can salvage deer, moose, or bear from the highway, but only if the collision is reported and deemed to be accidental. A handful of other states expressly forbid the collection and consumption of roadkill, including, somewhat counter-intuitively, that well-known home of guns, “freedom,” and feral hogs, Texas. Opinions are sharply divided as to the desirability of eating roadkill. 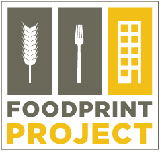 PETA endorses it, saying that, “If people must eat animal carcasses, roadkill is a superior option to the neatly shrink-wrapped plastic packages of meat in the supermarket.” Fans point out that, as an alternative protein source, roadkill is free, naturally lean, raised without the energy and chemical-intensive inputs of farmed livestock, and avoids waste (though this last point seems moot, as there are several other species that are only too happy to dine on the flattened fauna that humans leave in their wake). IMAGE: Opossum in Kansas City; photograph by Richard via Wikipedia. I’m a sucker for deer and pheasant though, and I love fox. 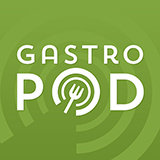 It’s delicious – like a very lean, sweet tasting pork. Similar to rat actually. 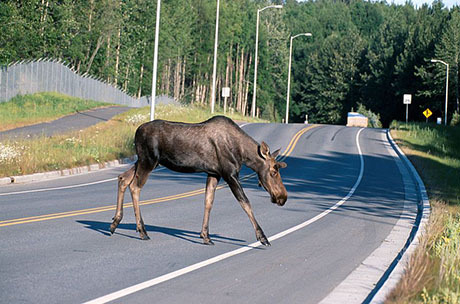 IMAGE: A moose crossing a road in Alaska; photograph by John J. Mosesso via Wikipedia. A deer that’s been slammed by a car might not have all that much edible meat. “Blood will go into that muscle and that meat is no good,” says Nick Bennett, who owns Montana Mobile Meats and processes wild game. Just how much meat you can get out of the roadkill depends on exactly where and how hard you hit it. 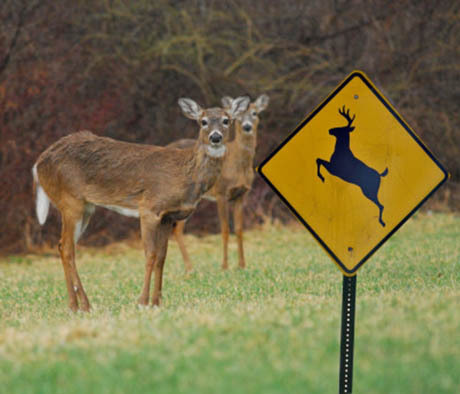 IMAGE: Deer near a deer crossing sign, Massachusetts; photo via The Sun Chronicle. 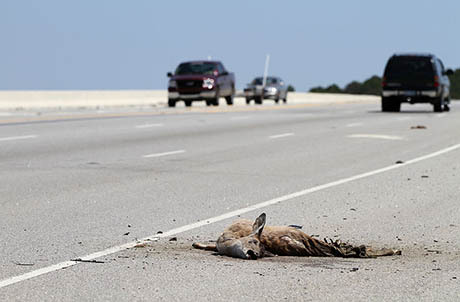 IMAGE: Roadkilled deer on Route 170, South Carolina; photo by John O’Neill via Wikipedia. At a time when the total world fauna is surely shrinking in both absolute numbers and species complexity, the road fauna is clearly increasing. Before 1900, in the United States, its presence was recorded by only the most fragmentary references to the occasional horse-stomped snake. 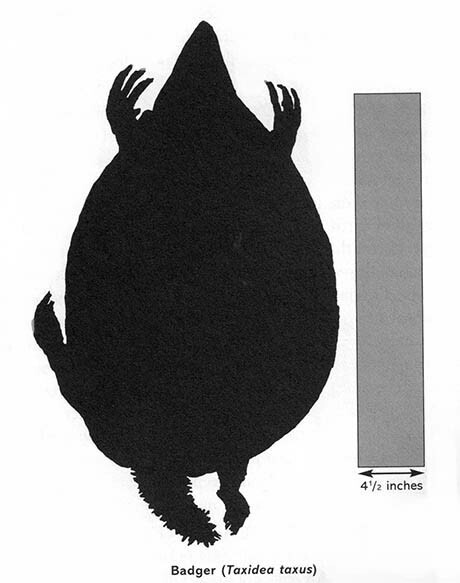 With the development in the twentieth century of a much elongated road network and dramatically increased traffic speed, the flattened fauna has increased in both species and total numbers. 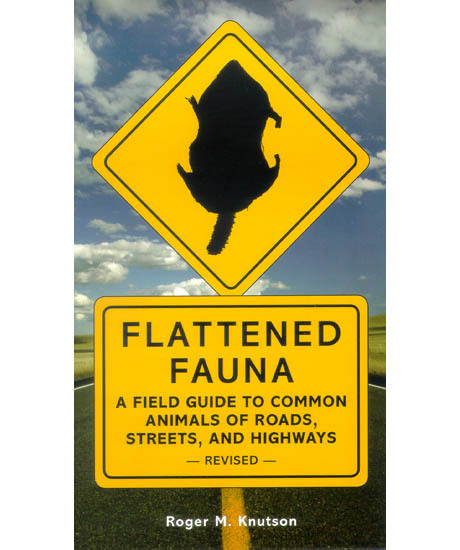 An extremely slim paperback, Flattened Fauna is nonetheless full of gems: Knutson’s sense of humour belies his detailed study of the “remarkable persistence” of muskrats on even the busiest motorways, the unfortunate tendency of cold-blooded snakes to seek large, flat, sun-warmed surfaces at night, and the particular silhouette or “form toward which” each different animal tends, in its two-dimensional afterlife (“genuine dorsi-ventral flattening is uncommon for rabbits,” for example). Indeed, the study of roadkill has a serious use, beyond entertainment value: as biologist Bob Brockie explained to Radio New Zealand’s This Way Up programme a couple of years ago, counting squashed animals on the road provides an excellent guide to shifts in population numbers and migration patterns. 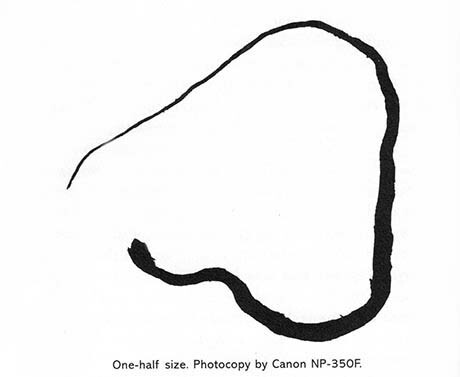 IMAGE: “The challenge,” writes Knutson, “is to distinguish snakes as a group from any of the numerous long, narrow, non-animal objects that litter the highway.” This photocopy, provided in his book, “represents most of the critical features of road snakes,” including its taper and curve (the result of a reflex action). From Flattened Fauna. 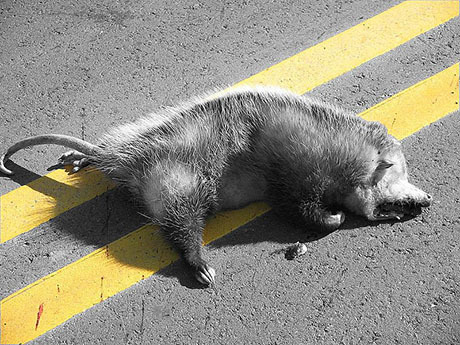 IMAGE: The badger, “the largest, flattest creature to be found on the road,” is here compared to a standard road marking for ease of identification. From Flattened Fauna. Meanwhile, having domesticated both ourselves and our food supply, we could perhaps argue that the underground popularity of roadkill cuisine is a technologically enhanced resurgence of our inner hunter-gatherers — even if the hunting is being done, for the most part, from the leather seats of a four-wheel drive. Although Montana’s new law has apparently been written to discourage intentional collisions, examples have been reported of roadkill poachers, who, rather than using a bow and arrow or gun, simply put a jam sandwich or sausage roll on the road as bait, and then lie low waiting for a passing vehicle to kill their dinner for them. Hours of study have been devoted to understanding the ways in which cars have reshaped the built environment, our perception of space and time, and even the global atmosphere; perhaps roadkill provides a small, easily overlooked example of some of the ways they have also redesigned our relationship with the animal world? It had never occurred to me that roadkill could be so interesting! Around 1970, an artist called Nick Bentley who was associated with George Maciunas and Fluxus took a road trip with a camera, shovel and plastic bags. Out of it came a show downtown. West Broadway met the lonesome highway.